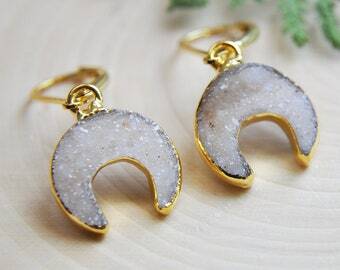 Gold druzy moon necklace, Crescent moon necklace. 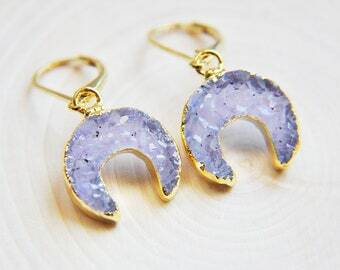 These gorgeous druzy crescent moons are electroplated with gold all around the edges. 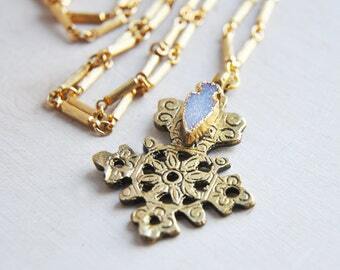 The back of the druzy moon is sanded and smooth to the touch. 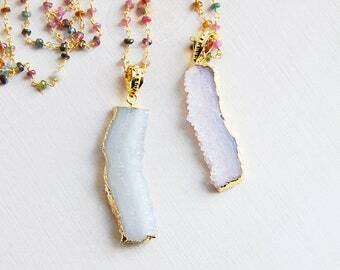 The surface of the moon necklaces have raw druzy crystals. 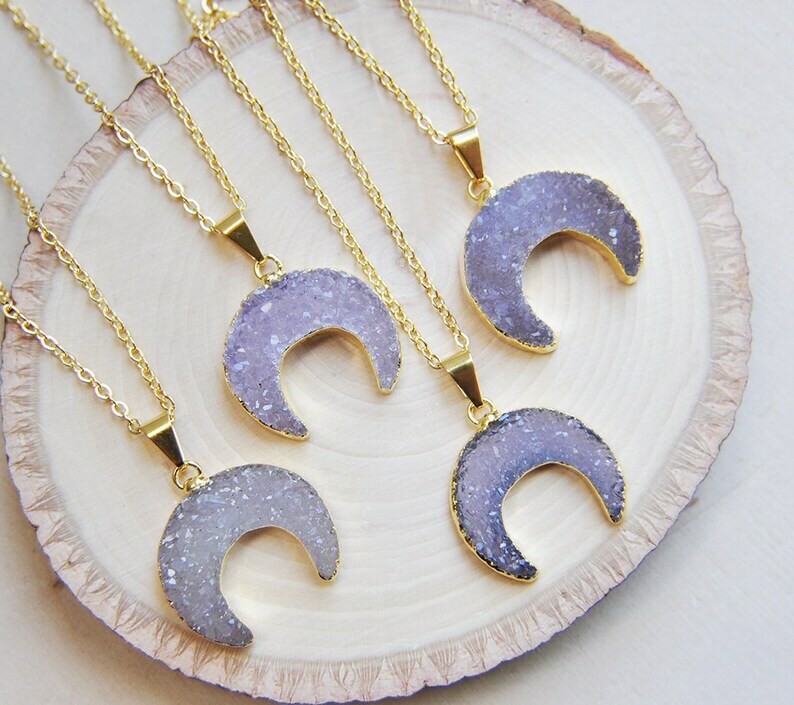 Your gold druzy moon necklace will hang from a bail and is suspended from a gold chain at the length of your choice. 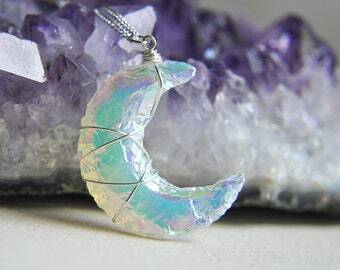 Select which crescent moon necklace you would like to receive from the drop down menu. 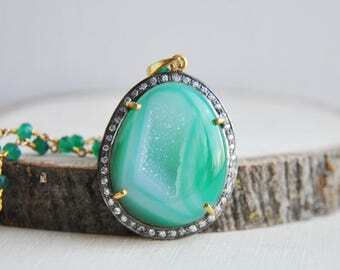 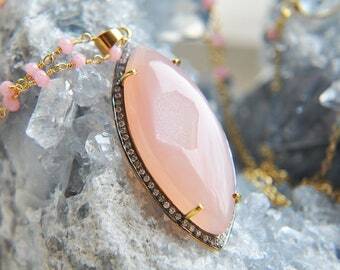 Your beautiful druzy necklace will arrive suitably gift wrapped ready for giving.